CIRIA’s Infrastructure Resilience: Risk and Response event examined the resilience of infrastructure systems – bringing together leaders to understand the issues and creating the tools and approaches to deal with them and, importantly, implementing the solutions either as a proof of concept or operationally. Savina Carluccio introduced the Resilience Shift to the audience of infrastructure professionals, focussing on the work undertaken as part of the Tools and Approaches project. CIRIA is the construction industry research and information association. As a neutral, independent and not-for-profit body, it links organisations with common interests and facilitates a range of collaborative activities that help improve the industry. We know that infrastructure globally is facing increasing pressures and is vulnerable to a number of factors including frequency and severity of natural hazard events; increasing dependence on services; larger populations relying on the same supplies; increased interconnections between networks; and un-coordinated and reactive response to events. The event in early April was aimed at UK engineers and asset managers working in resilience planning, risk assessment, and adaptation planning, providing them with an overview of hazards in the morning session, with the afternoon exploring a number of responses and initiatives. 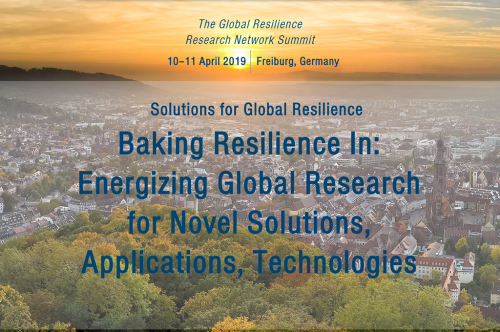 Savina presented the emerging themes from the Resilience Shift’s Tools and Approaches project, including insights on the available tools and approaches for resilience, current challenges and barriers to widespread adoption of such tools and potential solutions to overcome these challenges. One of the points raised by Savina in her presentation, the lack of common understanding on what resilience is for different stakeholders, echoed with those who were in the audience and experienced the same challenge in their organisations. Another attendee raised the need to give more prominence to ecosystems in the wider system, thereby highlighting the importance to consider socio-technical- ecological systems. Other invited speakers included Tom Dolan from University College London presenting on the human perspective, Doogie Black from Trioss, who considered the role of standards, and Matt Crossman from the UK’s National Infrastructure Commission. CIRIA’s Director, Owen Jenkins, and Lee Kelly, Project Manager, also spoke at the event about CIRIA’s work and role in the infrastructure resilience space. 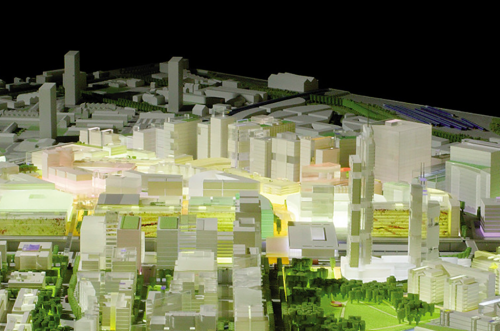 Their work around infrastructure asset management includes advancing technologies and techniques associated with infrastructure monitoring and modelling. Other relevant research programmes fall under the broad areas of environmental risks to infrastructure and sustainable water management. A summary paper will be published on the CIRIA website, available initially to CIRIA members only. This follows the briefing paper with key findings from the Infrastructure and Resilience Series.